Pent shed and apex shed. What's the difference between these two garden shed roof styles? Find out. Pent shed and apex shed. What’s the difference? And what are they, anyway? 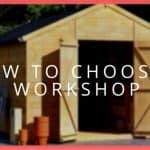 One of the many options you will encounter in buying a wooden shed is the roof design. Enter pent shed and apex shed. 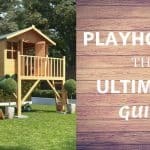 You may want to have a simple garden shed, but these two popular roof styles give you reasons to think carefully about your choice. So, which one should you choose? Read on. The number of slopes set the difference between the two roof designs. An apex roof has two slopes that meet right down the middle, along with the length of the garden building. Apex sheds are a common feature of most gardens. A pent shed features a single slope, with the highest point located on the wall that has the door. These pent sheds offer an evenly distributed internal height as the roof doesn’t lower on each side. 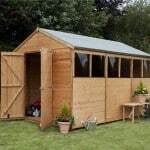 How do you intend to use your shed? You may want to choose an apex roof if you plan to work inside your shed and you have large tools laid out alongside the walls. The aisle that forms in the middle will give you ample headroom to move about freely. But, if you are primarily using your shed for storage, then the pent roof may be a better option. You will only need headroom for when you enter the building. An additional room at the back would be unnecessary. Where do you plan to put your shed? 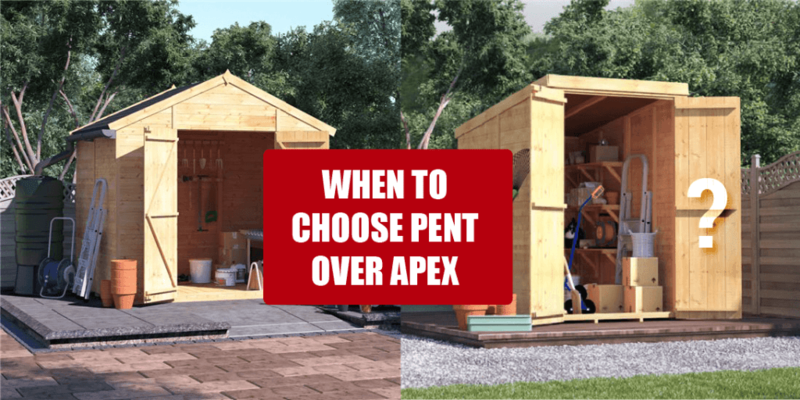 An apex shed might look better in the middle of the garden, whilst a pent shed will fit nicer next to the boundary, fence or under overhanging branches. In both cases, the slopes play important roles in allowing precipitations to run off the roof. If a pent shed is properly installed, rain and snow will fall directly into the street sewers, eliminating the need to take a shovel to the garden in the winter. Apex roofs offer well-loved, timeless appearance to your wooden shed, whilst pent style roof gives a modern and stylish appeal. Still, everything boils down to your preference. 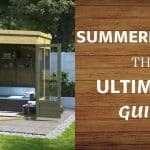 Whichever choice of shed you make, your garden shed is going to be one of the major highlights of your garden. 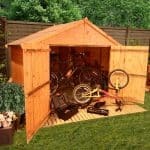 So, if you really want a good-looking apex or pent shed, take a look at our beautiful wooden shed collection.